Who doesn’t love a fresh Caprese salad? A couple weeks ago, my friend served this updated version of the delicious barbecue staple. Isn’t it cute?! It’s also the easiest thing I’ve ever made, aside from peanut butter on toast. Drizzle balsamic vinegar on a serving platter, spear half a cherry tomato and half a mini bocconcini ball with a toothpick and top with a basil leaf. I recreated the appetizer for Dave and I on Sunday and it was a hit: fresh, easy, healthy and adorable. 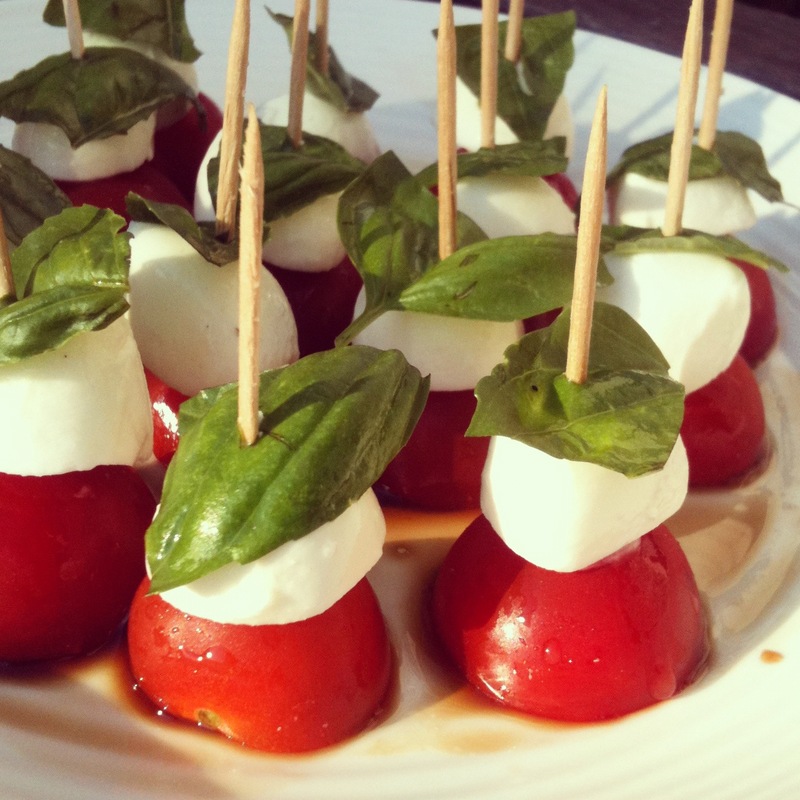 The no-fuss prep + vine-ripened cherry tomatoes + basil from our balcony = summer on a stick. This entry was posted in Food and tagged basil leaf, cherry tomato, cherry tomatoes, dinner, food, vegetarian by lovewritenow. Bookmark the permalink. These are perfect for easy appetizers for summer parties, and they look great! Nice post!